This lot features a Michael Jordan 1994 Chicago White Sox batting helmet exhibiting quality overall use. 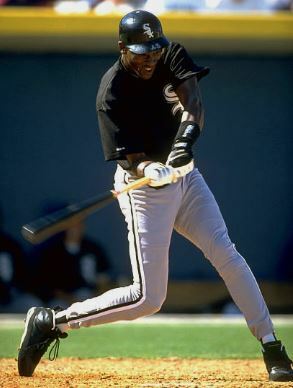 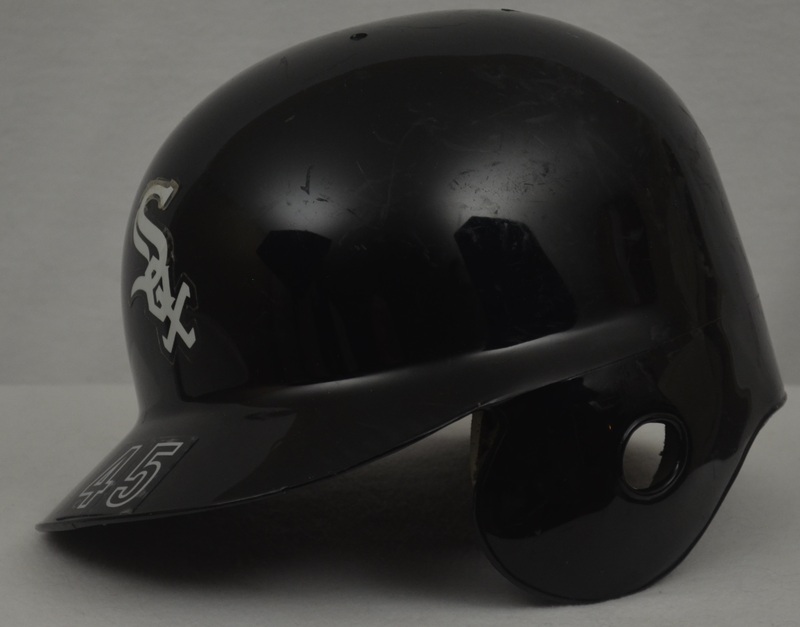 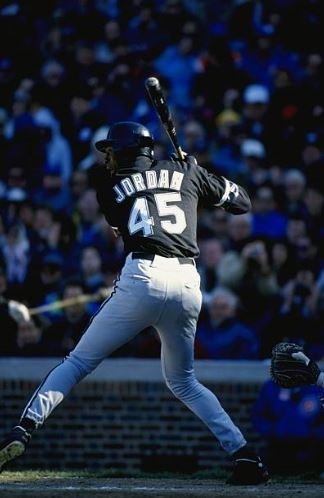 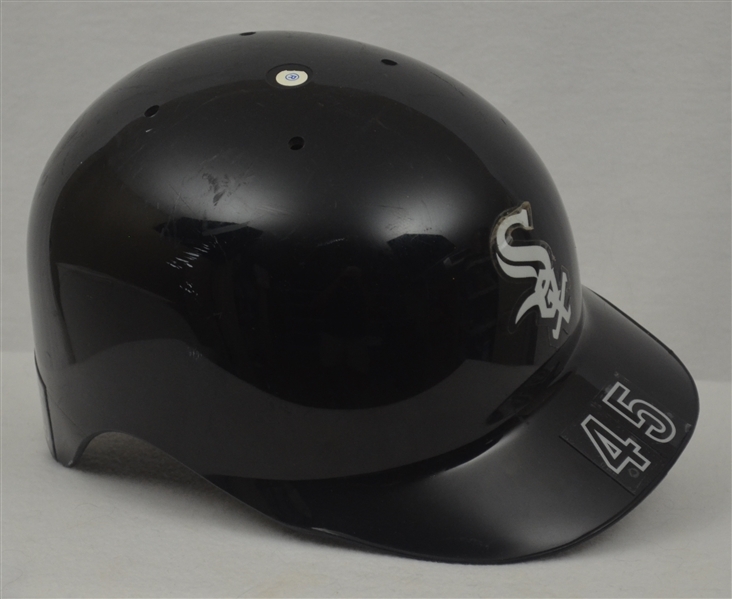 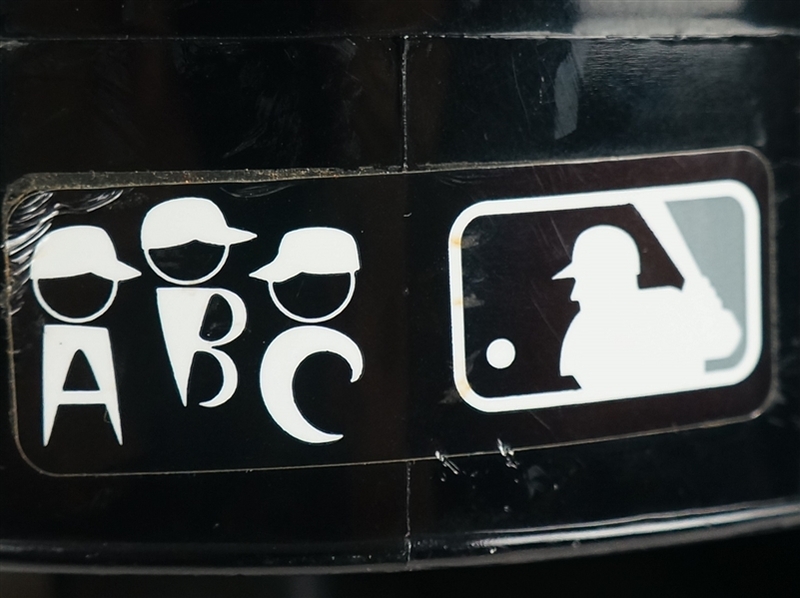 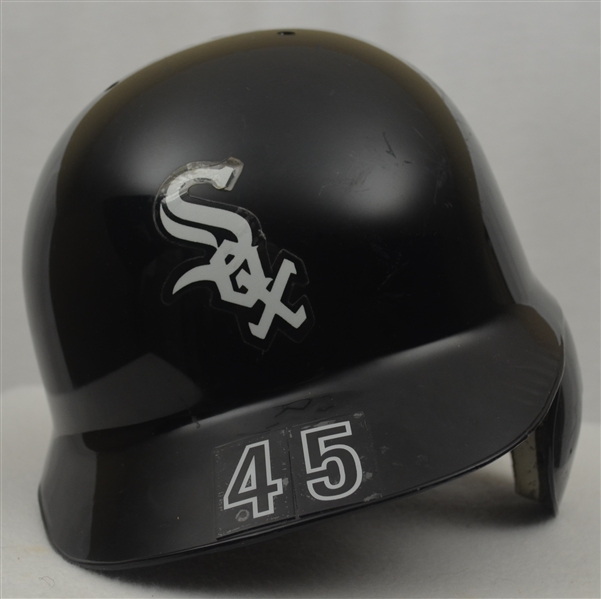 The right-handed White Sox batting helmet has the team logo decal on the front as well as Jordan's #45 on the front rim. 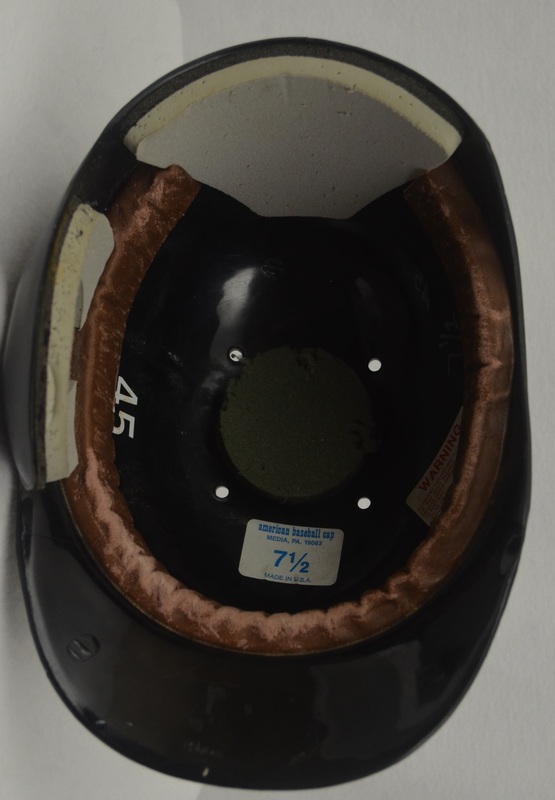 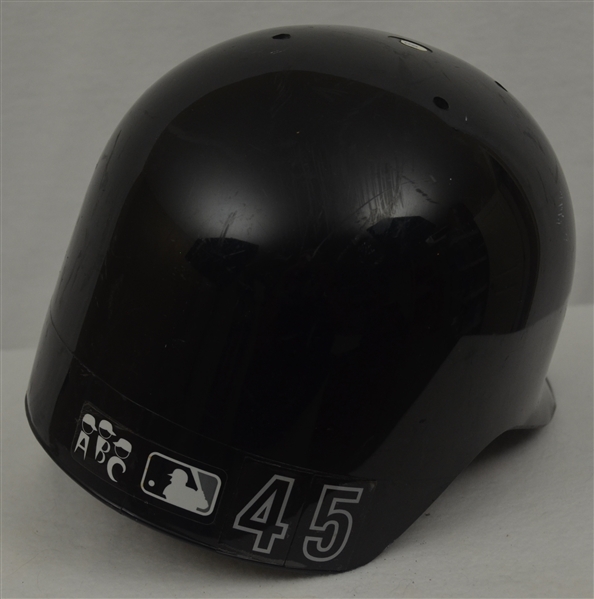 The exterior shell shows several abrasions and scuffs from use and the backside has Jordan’s number “45” applied in white numbers to the right of the logos for American Baseball Cap Company and MLB. The interior has the padded headband and crown each if which exhibit quality wear. 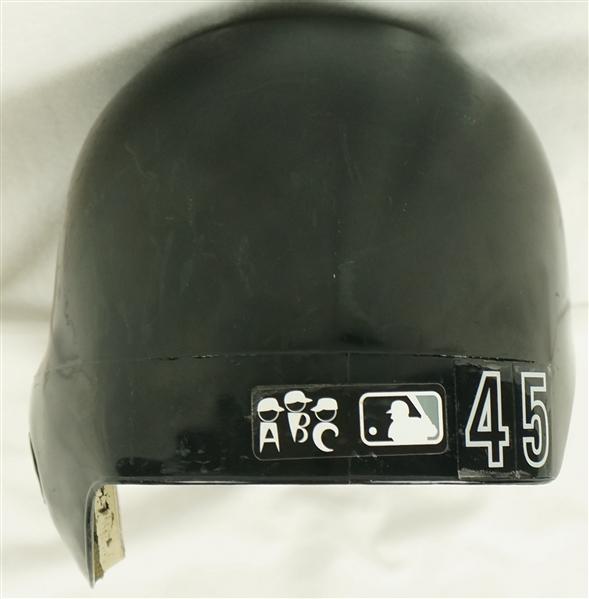 A 7 1/2 American Baseball Cap Co. label is affixed to the interior along with a Warning sticker and Jordan's #45 in white. 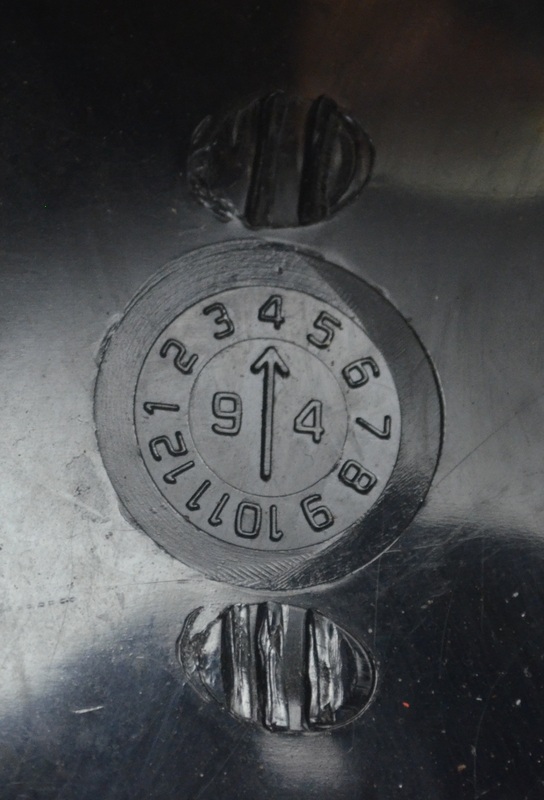 The year dial stamped into the interior shell sets the manufacturing date to April, 1994. 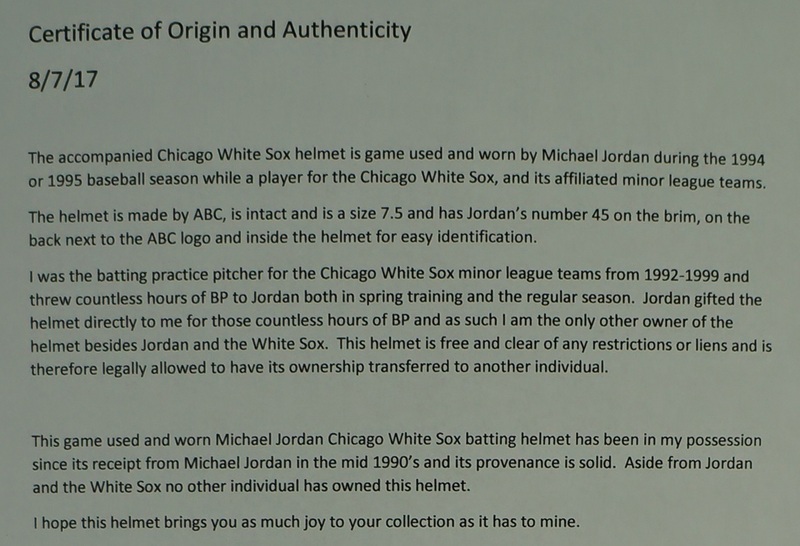 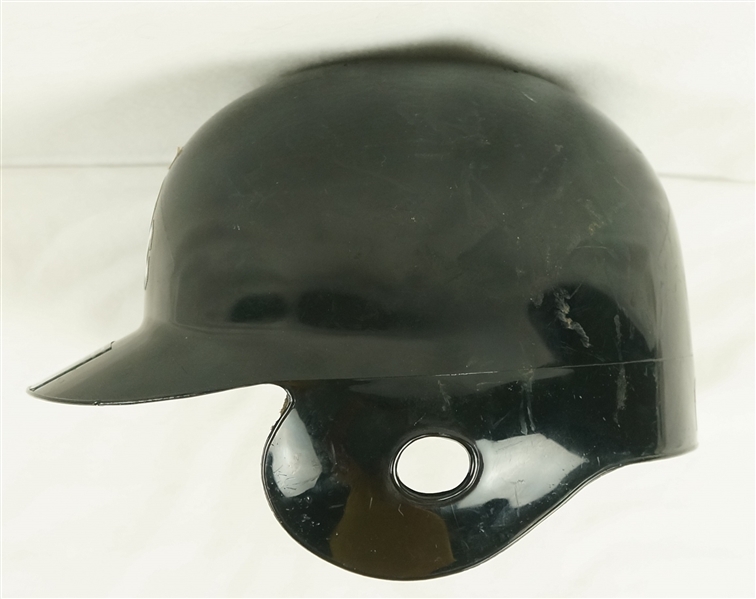 Accompanied by a detailed Letter of Provenance from the White Sox minor league batting practice pitcher as to how the helmet was acquired directly from Jordan himself.